If desired, authorized users and departments can change and update document templates on their own. OneOffixx manages the distribution behind the scenes. The migration to new Office versions is automatically guaranteed with a state-of-the-art OneOffixx version. Office users are more independent and need less IT support, as OneOffixx facilitates the creation of unified, CI/CD conform documents. OneOffixx is a renowned standard software with an intuitive usability and an excellent level of user acceptance. Authorized users can update templates, snippets, as well as data and take care of legally reliable formulations and texts. Thanks to OneOffixx, each staff member has access to the latest template versions at all times. The legal certainty of documents is significantly increased. With OneOffixx, the incorrect display of logos, brands, slogans or corporate data is a thing of the past. All templates and documents are unified, personalized and correct. This way, your brands are automatically strengthened without any extra effort. I am excited about OneOffixx because its user-friendliness and the support service are outstanding! 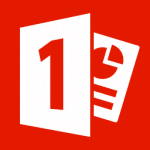 Simply complete: OneOffixx for Outlook, Word, Excel and PowerPoint! OneOffixx – Get to Know the Benefits in 4 Minutes! Do you want to know more about how OneOffixx optimizes your template management and helps you save time? Have a look at our short video! Would you like to get a realtime experience on OneOffixx and find out more about its advantages in a live setting? Sign up for the OneOffixx webinar: Fill in the contact form and get all information via email shortly. 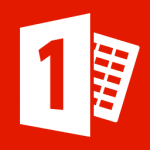 Once you have put it to use, you never want to take a step back again: The OneOffixx template management system for Microsoft Word makes your daily office agenda so much easier! Save costs and increase your productivity with unified Word documents. Writing professional emails has never been so easy: Draft your messages swiftly and efficiently, while taking advantage of pre-defined text blocks. Add a personal touch with your automatically created email signature. 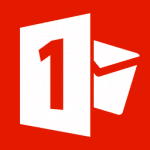 Optimize your eMarketing and newsletter campaigns with OneOffixx for Outlook. You will simply love it: Create your PowerPoint presentations quickly and professionally. Your company's unified corporate design, as well as your personal contact details are applied automatically. The address interface guarantees a smooth integration of your client’s details. Simply ideal template management that both optimizes and unifies your workflows. Personalize your tables with OneOffixx for Excel: All contact details and addresses are automatically integrated and your statistical data is presented in a unified corporate identity.